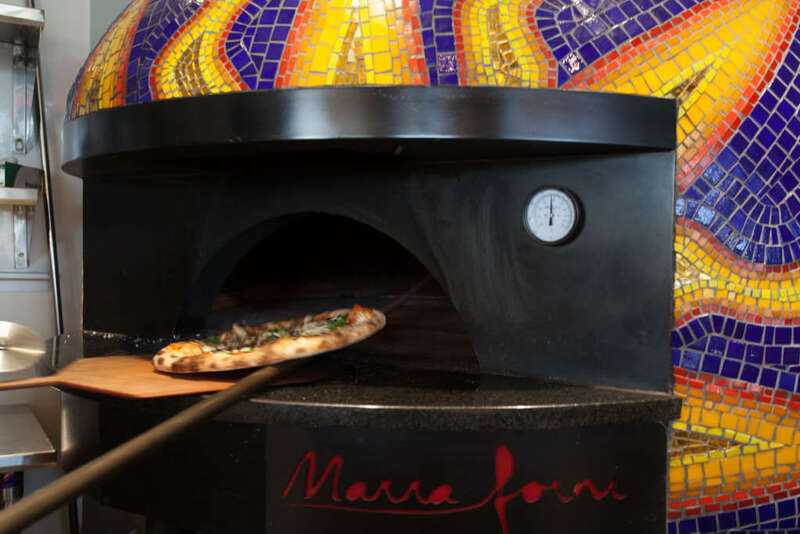 Twenty-five years ago, chef Ruth Gresser discovered the power of pairing pizza and beer when she opened Pizzeria Paradiso in Dupont Circle. But this summer, she's testing a new pairing for her growing business. WASHINGTON — Sounds of children shrieking with delight are not unexpected in a neighborhood pizza joint. But at 4800 Rhode Island Ave. in Hyattsville, Maryland, the squeals are about more than melted cheese. 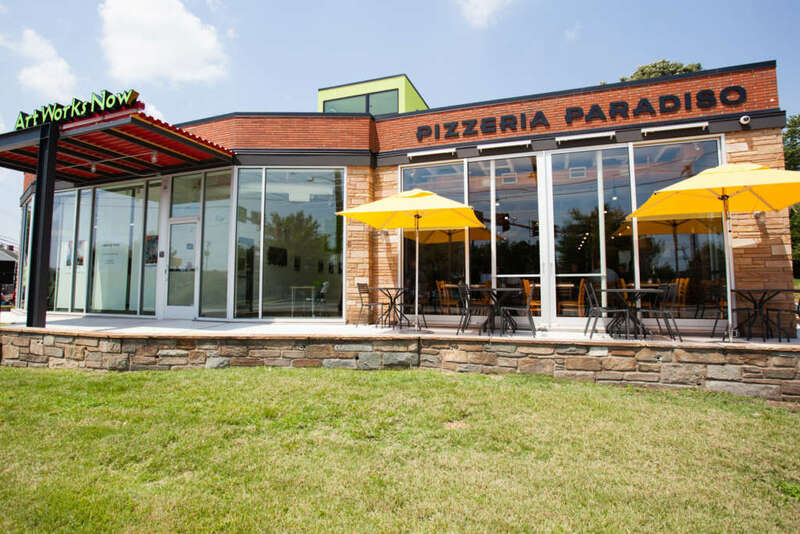 This summer, well-known chef Ruth Gresser opened her fourth Pizzeria Paradiso location and her first in Maryland. The Hyattsville restaurant serves the wood-fired pies and craft beer the 25-year-old concept is known for, but brings a new element to its menu: art. “One of the things that we figured out early on is that the two things we like to do are look at art and eat great food. That’s what our vacations are; that’s what our time away from work really is about,” said Barbara Johnson, founder and executive director of the nonprofit Art Works Now and spouse to Gresser. “So we decided to bring our vacation to work,” Gresser added. Half of the building — once home to an abandoned florist shop — operates as a community art center, run by Johnson. It hosts summer camps and after-school care for kids, plus a number of studio classes and events for teens and adults. The other half is Gresser’s pizza parlor. “It just made sense to me to bring those two together,” said Johnson, who founded Art Works Now in 2011 in Maryland’s Mount Rainier neighborhood. While the two businesses maintain separate entrances, the crossover is inescapable. 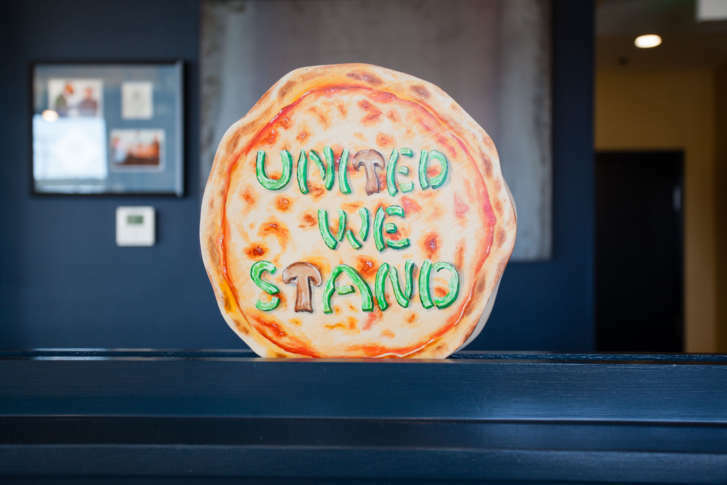 Inside Paradiso, wooden and ceramic pizzas painted by Hyattsville artists adorn the walls. The large pizza oven is even tiled by local mosaic artist Valerie Theberge. “When people walk in the front door, the first thing they see is that oven, and I think they immediately say, ‘Oh, there’s Valerie.’ And so, I think that right away makes this a familiar place to a lot of people,” Johnson said. Not surprisingly, the 2,000-square-foot restaurant, which also has outdoor seating and a “swim-up bar,” is a popular destination for parents and kids after camps and classes, in addition to nearby residents from the booming Gateway Arts District. “The growth that has happened in this community over the last 10 years has been phenomenal, so we’re really happy to be part of what’s happening on Rhode Island Avenue,” Gresser said. This fall, Art Works Now will host a number of events, including its popular Parents’ Night Out (where parents can drop off their potty-trained kids from 5 to 9 p.m.), weekly Saturday morning Toddler Time sessions, and UnWINEd Wednesdays for adults. Pizzeria Paradiso is open for lunch and dinner seven days a week. On Oct. 14, the two businesses will team up for a fall fundraiser and community art day, called “Come As You Art,” featuring live music, plus pizza and craft beer from Pizzeria Paradiso. Attendees are encouraged to dress up as their favorite artists or works of art; tickets are $50.